Spencer Silver is a retired 3M Chemist who has spent the last 30 years painting in acrylics and oils, generally in a multi-canvas format. 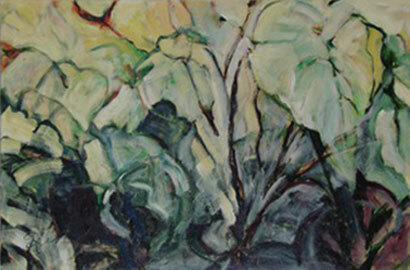 Subject matter ranges from floral matters to cross-sections of various phenomena - gardens, trees. Latest work are some ideas about the prairie, especially in Minnesota.